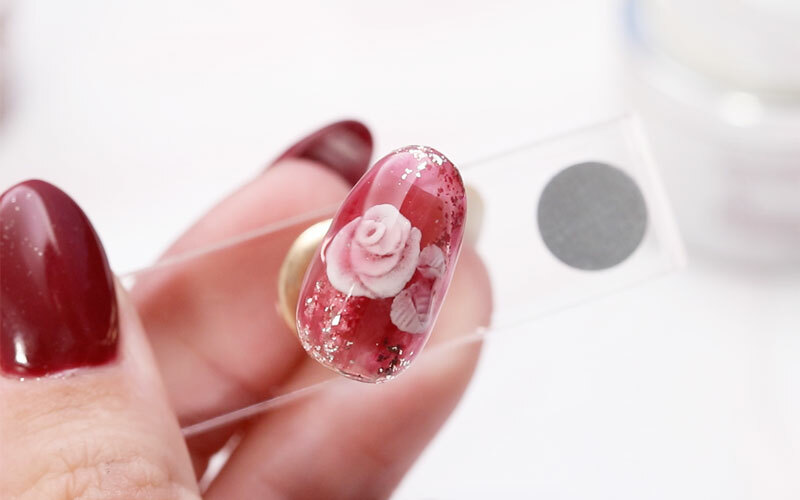 A gel inlay with a dainty rose. 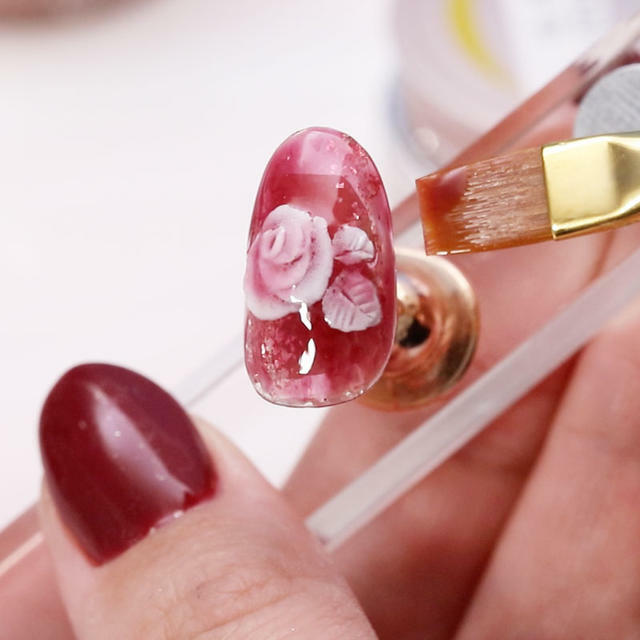 The video will show you how to make an intaglio rose using gel powder and a spatula. 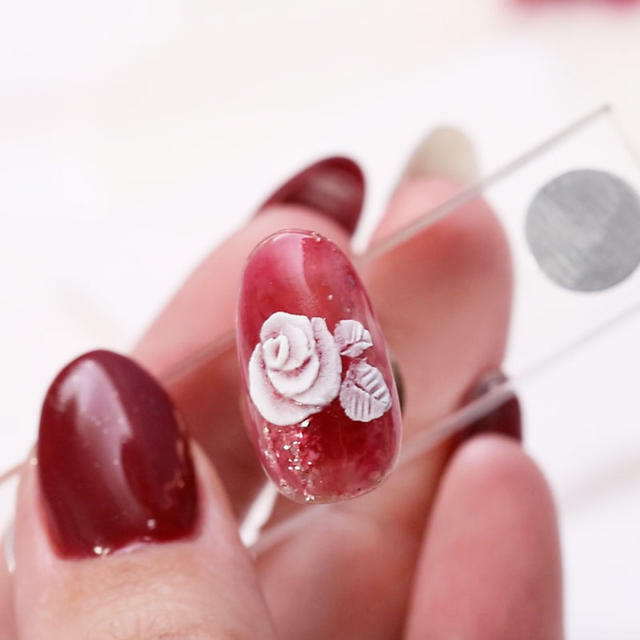 In this lesson, you will learn how to make a nail design with a 3D rose called an intaglio rose. 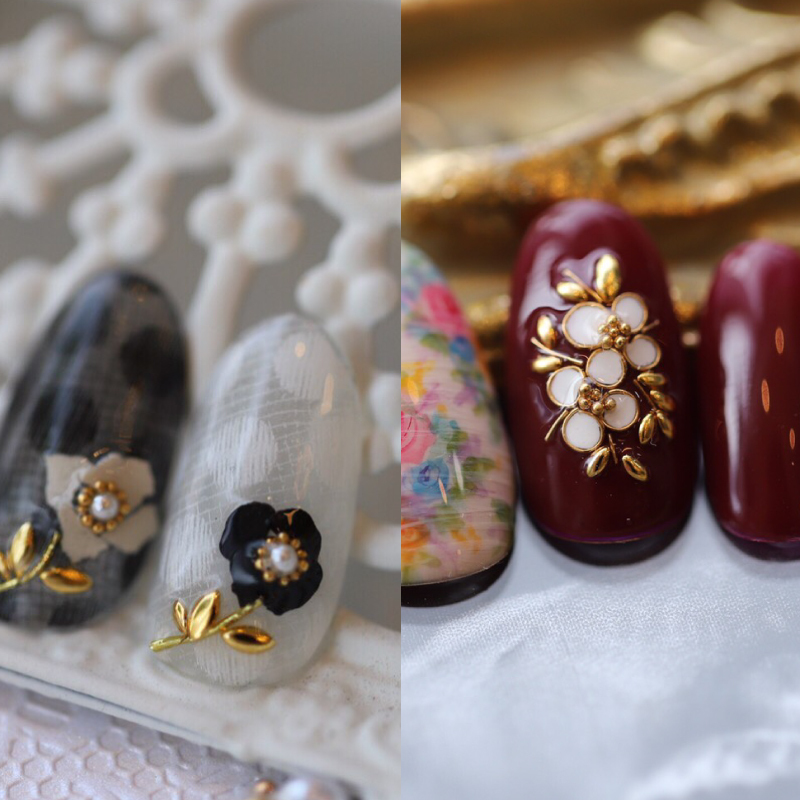 The way Saori makes this design is somewhat different from many of her flower designs. 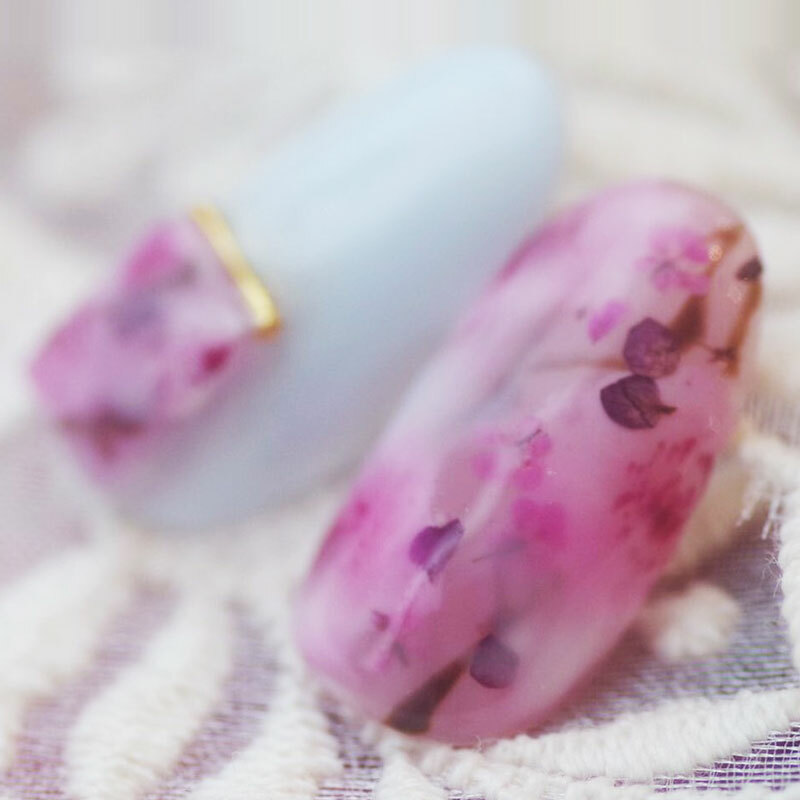 An intaglio rose is a jewelry charm with an embedded rose. 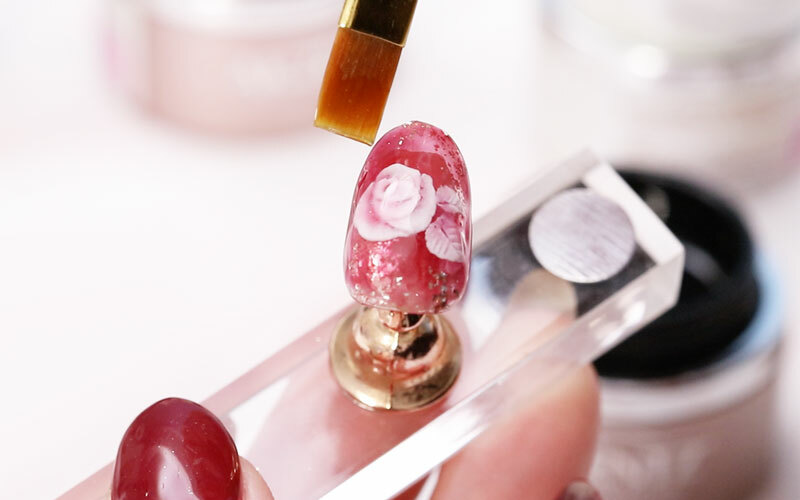 In this lesson, Saori recreates an intaglio rose on a nail. 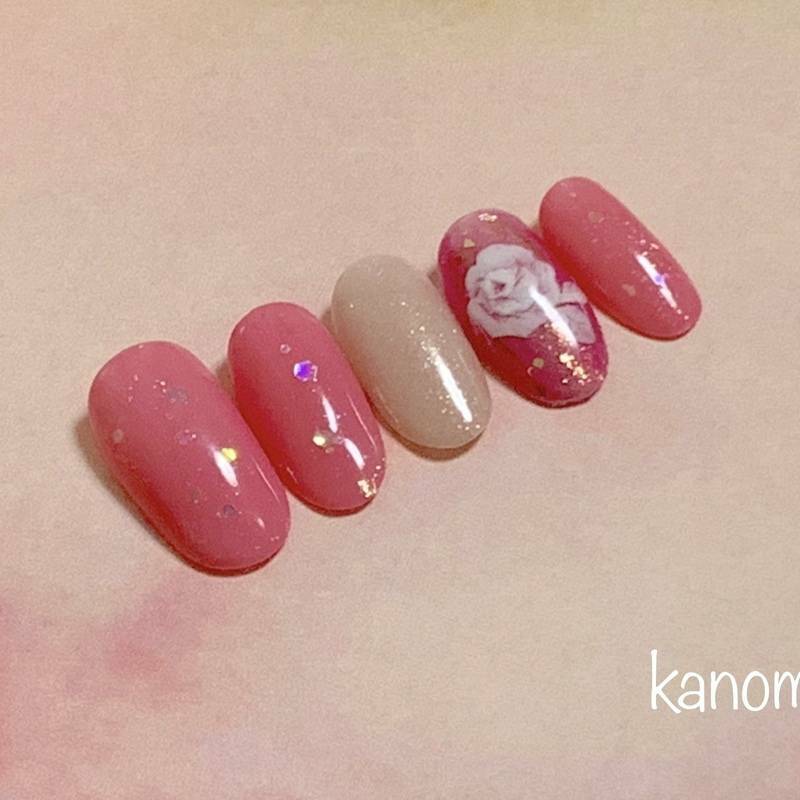 and Saori uses a spatula instead of a brush to create the rose. 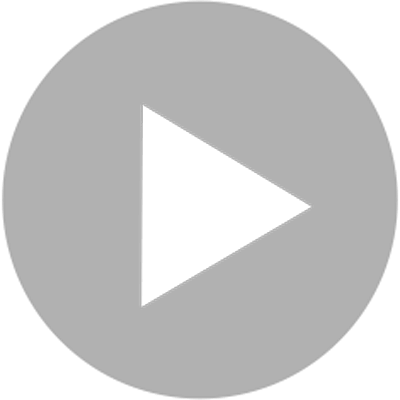 the right amount of powder and the right thickness of the 3D part for inlaying. 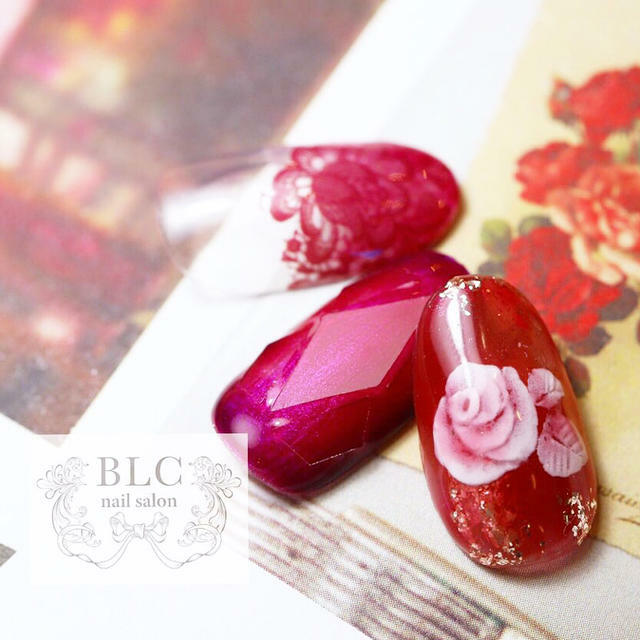 and how to place the rose and leaves together with a good balance. 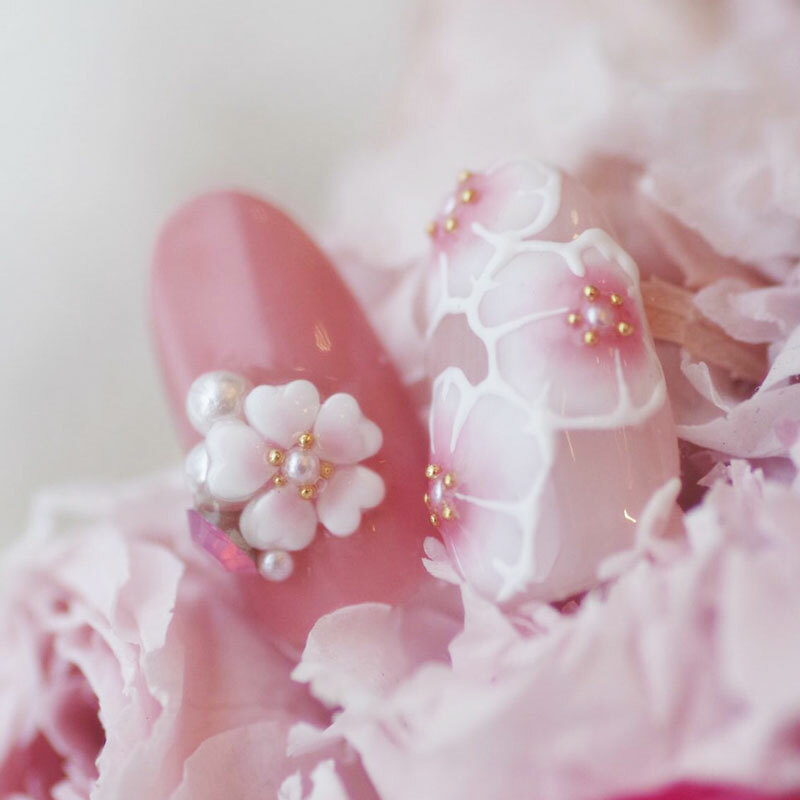 which is a great bonus if you want to expand your nail design portfolio. 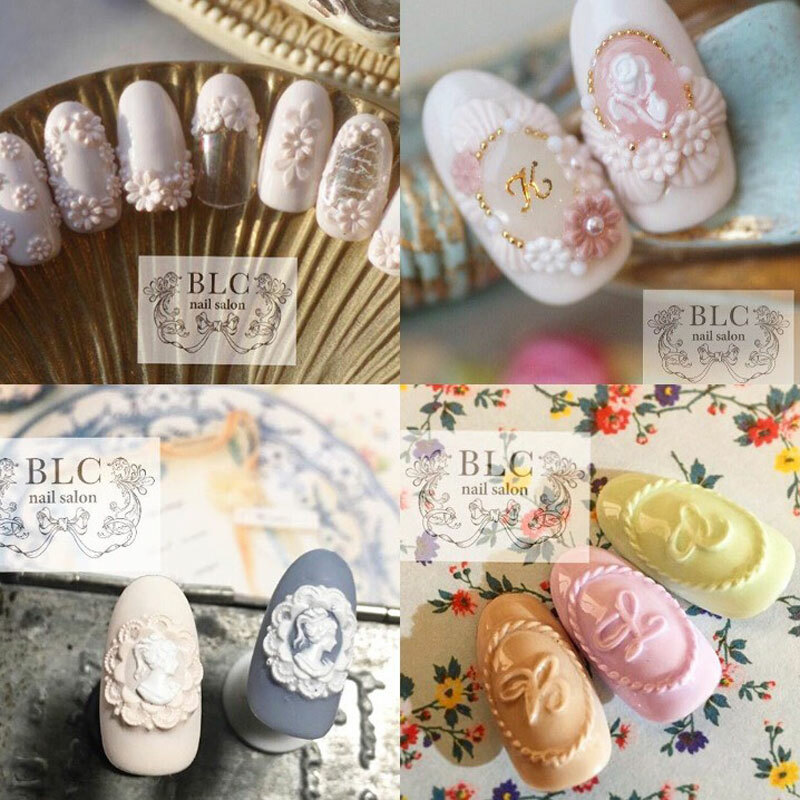 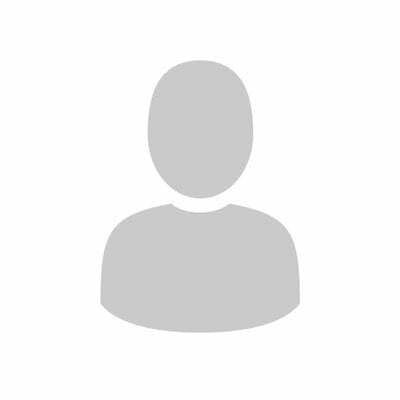 with customers who are attending a wedding or a coming of age/graduation/entrance ceremony. 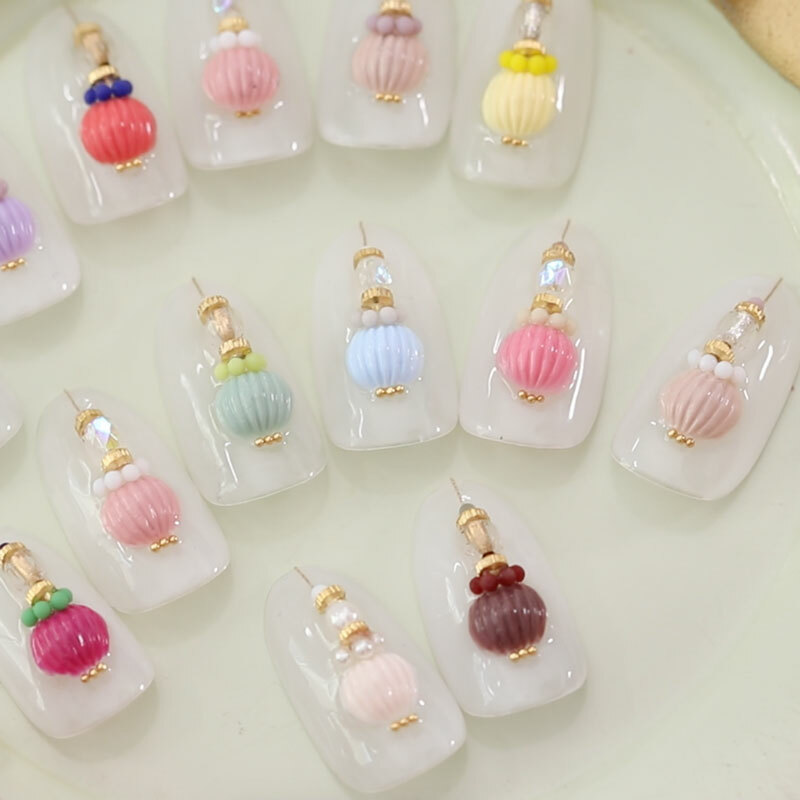 but your choice of colors is unlimited so you can make it with your favorite colors.